Water. We can’t live without it. Not for long – only about 3 days. In fact, water is the one thing that we need the most, to survive. The general rule for storing water for an emergency or disaster is 1 gallon per person per day. There are variations to this generality, ranging from a half gallon to as much as 3 gallons per person per day because there are other uses for water besides just drinking. A problem that you will encounter during an emergency or disaster is not only obtaining water to drink, but treating it to make the water safe to drink. 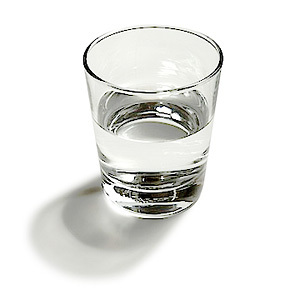 The best way to treat water for drinking is to boil it first, for one minute. According to the Wilderness Medical Society, water temperatures above 160° F (70° C) kill all pathogens within 30 minutes and above 185° F (85° C) within a few minutes. So in the time it takes for the water to reach the boiling point (212° F or 100° C) from 160° F (70° C), all pathogens will be eliminated, even at high altitude. If boiling is not possible, another effective way to make water safe to drink is to add a specific amount of regular household bleach. Depending on brand or concentration, regular household bleach contains between 5.25 and 8.25 percent available chlorine (liquid sodium hypochlorite), which will disinfect the water if added in the right amount. If the collected water to be treated is cloudy and contains sediment, either scoop a new sample with less sediment, or strain it first through a makeshift filter (cloth bandana, t-shirt, coffee filter, etc..) or let it sit in the container allowing sediment to settle to the bottom. Gently pour off the clearer water on top. Mix thoroughly and let stand for 30 minutes (important). Chlorine test strips are useful to verify the chlorine level in the water. The maximum safe level for drinking water according to the EPA is 4 ppm (parts per million). Note that bleach has a shelf life, although you will probably not see a date on the bottle. Chlorine bleach may lose 20% to as much as 50% effectiveness within a year, so be sure to date your bottle upon purchase. The EPA recommends a maximum (no more than) 4 ppm (parts per million) of chlorine for safe drinking water. A typical municipal water supply measured at the home faucet is typically between 0.2 and 0.5 ppm chlorine. It takes 45 minutes to destroy Giardia Protozoan (common cause of diarrhea) with 1 ppm chlorine level. Add 1/8 teaspoon (or 8 drops; about 0.625 milliliters) of unscented liquid household chlorine (5–6%) bleach for each gallon of clear water (or 2 drops of bleach for each liter or each quart of clear water). Add 1/4 teaspoon (or 16 drops; about 1.50 milliliters) of bleach for each gallon of cloudy water (or 4 drops of bleach for each liter or each quart of cloudy water). Disinfection with chlorine is the most appropriate way of ensuring microbiological safety in most low-cost settings. At least 30 minutes contact time should be allowed after the chlorine is added to the water before the water is drunk, to ensure adequate disinfection. The free chlorine residual (the free form of chlorine remaining in the water after the contact time) should be between 0.5 and 1.0 mg/l (0.5 ppm and 1.0 ppm). Also thanks for using both imperil and metric conversion rates – I’m hopeless with imperial as I am a child of the metric age. Metric makes it even easier. 1 ppm (part per million) is 1 ml in 1,000,000 ml. or 1 ml in 1,000 liters, but what they’re talking about is residual chlorine (how much is left after it has done its job of disinfecting). This really should be done with a test kit like the ones they use for testing pools. If that shows 1 to 1-1/2 ppm residual chlorine (after standing 1/2 hour), the water is safe to drink from the standpoint of parasites and bacteria. However, it does absolutely nothing for dissolved poisons like arsenic or lead (or almost any large concentration of heavy metals). If you ever have to get water from a lake or stream, it’s better to get it from a place that has living things in it. If it’s “too clean” there may be a reason. You can always strain or filter out algae or tiny bugs. hi-in many villages in india drinking water is not available. next to my organic farm is a stream containing 930 cfu/100 ml of e coli & 38 organism/100 ml of eschericha coli. as a social worker i want to supply 3 tankers of 5000 liters of potabe water to the nearby villages. can i use bleach or activated carbon or aeration in a tank for how much time or please suggest a simple low cost way to achieve this. Bleach or chlorine gas is the only way to kill the pathogens . Great article! Does this rule apply if I want to fill a 55 gallon plastic drum of water from the tap? Considering the tap water already has chlorine added to it as it is municipal water? Josh…. make sure the barrel is sterile /sanitized and the instruments you use to fill the barrel. I personally add a qt of bleach into the plastic drum, rolling it around, standing it on one end , then the other to sterilize it good. Then rinse. Once filled to over flowing with good tap water, I push on the side to expell any air bubbles before tightening bung plug. Two years latter, its still good water. The recommendation is to change the water every six months, but I haven’t done it yet? This water was for basic use, not drinking. I would drink it! Depends on the barrel that your are using and how long the water has been stored. Ok, thank you for the responses, this is great information. I just want to make sure I understand you clearly. 1. Rinse the barrel thoroughly and then pour 1 quart of bleach into barrel. Swish around on both ends, let it soak well. 2. Rinse the bleach out. 3. Fill the barrel with water from the tap, squeeze sides to push any air out and then put in the bung plug (always funny saying that) and then good to go? Don’t add any bleach to the water or it should be safe as is? I’m not using this as my primary source for drinking water, but would be nice to have that option if needed. It’s mainly just as a backup to my primary drinking sources which are all just unopened drinking gallon water jugs from the supermarket. Josh….your equipment that you use for storage and processing, (barrel, hoses, water source) is the weak link in water storage. Also disinfect your hands! I personally use recycled 4L glass wine bottles that I get at the recycling center for immediate drinking water. I use 200L (53 gallon) barrels of water for dishwashing, laundry, toilets, misc………..
Our well field is 11 miles away with 5 water towers. The water still test 1 ppm – 1.2 ppm chlorine residual at the faucet. Means, good water. Store all water in the dark. Sunlight and aeration destroys chlorine. If you have good water with too much chlorine( if you smell it, its probable too strong) let it set in the sunlight or shake it and then let chlorine dissipate. The water is disinfected with liquid bleach at the water plant. It was treated prior by gas. Chlorine is a poison to all life, do not over use! i bought 30 new food grade 55 gal. U.N. approved plastic drums from a company in Memphis that was going out of business. I have seen them advertised for up to $140.00 each. I guess if everything went down they would be worth it. Thanks for this information. I wanted to know for when I run out of bottled water and cannot get out often to purchase more water. Can anyone tell me what is the best type of bottled water to purchase? Depends what you mean by ‘best’. I’ve researched it awhile back to discover which of the many brands are considered more pure than others (better filtered and without impurities). I came across some test results, and for this particular test (which seemed legit), it was the Nestle brand (I have no affiliation with them). Taste is a matter of opinion, but with regards to survival, any of it is perfectly fine. Nestle water is not the best bottle water to choose from. It contains minerals in the water which is a nice word to cover up for chemicals. You can verify this on the back of the bottle. Their really isn’t a certain type of bottled water that is better than others. Just as long as its pure water with no minerals added. Also note storing lots of bottled water is usually not that practical if your prepping. Understanding the different ways of purifying water and having a nice water purification kit will help you the most. Your on the right track though. Water is definitely the most important item to store. Some people don’t understand all the food they have prepped will more than likely need to be boiled in water. I would recommend the cardboard boxes that have a liner in them to store your water. Their easy to rotate and easy to move around if needed. Approaching boiling suffices. Chlorine works on almost everything. Remove sediments first. Smell it afterwards. And in the comments section, it is implied that initial chlorine treatment is good long-term storage. True. Let me be explicit: If you chlorine-treat water as you put it in a sealed container, there won’t be anything infectious in the water many, many years from now. The taste might be a little “plasticy” or rust might have formed depending on the container you used, but you killed any infectious organisms when you filled it with chlorinated water. And a suggestion: One tends to think of repurposing a 55-gallon drum, etc but those are tough to carry around in a pinch. Even 5-gallon water-cooler bottles can be too much for the weak or injured to handle without spilling a lot. But those 24 to 35-bottle flats of disposable drinking-water bottles? For about $3-$4 at Home Depot or the grocery store, it’s hard to find an empty container for less than $1/gallon and these come with treated water in food-grade containers and LOTS of redundancy. these all have expiry dates on them usually six months to a year. do they genuinely expire/become hazard, or is this a marketin ploy to get you to pitch them? Some jurisdictions (e.g.,New Jersey) had mandated that no expiration date be beyond two years. Many companies used this nation wide even if their product will last longer rather than track multiple durations. Now that that rule has been eliminated inertia keeps the dates on the bottles. You basically have to “prove” that your product -will-not- spoil by the expiration date. That means the date quite often has -no- basis in how long the product will actually last beyond ‘at least this long’. There are things that are affected by light or heat even with a sealed sterile container. But. Just not concerned about water’s ‘expiration date’. 3) The typical water or soda bottle is foodsafe in the sense of blending-and-eating the whole thing, just NOT scary. The water doesn’t become hazardous in itself, but in some cases the bottle begins to break down–particularly the new, thin walled bottles. I wouldn’t suggest keeping “bottled” water longer than a year because of the risk of leakage. If the water that you buying got an exper. date on it , it not pure. You might want to sent it off and have it tested, for the people that test the water can tell you how long. it don,t cost 10 10 15 dollars to have it tested. Thank you. We just lost our well and are in summer. I live in a desert climate. I have 20 gallons stored along with bottle water. We had rain and snow in May (yes very weird for us)and collected in rain barrels but wanted to disinfect before watering farm animals. Hopefully mechanical not well is dry. Will take awhile before someone can come out. Thank you again. If 2 liters needs 4 drops, then 20 liters needs 40 drops (a little over 3 ml)- simple proportions. 2 drops (1.5 ml) of liquid bleach for every liter of CLEAR water. If it’s potable water, that means it’s safe to drink – for anyone. The potable water being supplied to you is most likely from some municipal water supply. And they have VERY tough standards they have to meet! Babies, especially ones who are breast-fed, get their mother’s immunities to many common diseases, according to a number of doctors and nurses I’ve known. All of my drinking water comes from a Berkey water filter for example, and my pet dog gets the same water. Great article! A LOT cheaper than paying $15 for a 1oz bottle that will only clean 30 gallons. Just for my personal clarification I’m hoping you can answer some of my questions on how to correctly clean and store water for a 55-gallon BPA free water drum. 1. Add 1 quart of bleach, roll all around to make sure all internal sides have been touched. 2. Rinse. Does this mean fill 1\2 to 3\4 of the way, then empty out, then refill completely again?. Or am I just filling all the way to the top immediately until there is some good overflow? You don’t really have to swish bleach around the drum, as long as there is no dirt or anything. You are already going to be putting in water with enough bleach in it to kill all bacteria, so why rinse it with bleach to kill the bacteria beforehand? …to make a solution recommended by the World Health Organization and the CDC. I understand your logic that by filling it with water that already has 1 or 2ppm chlorine should be adequate, but the thing is… there’s a difference between a disinfectant formula (to treat surfaces, etc.) versus safe-to-drink formula (for the drinking water itself). I would personally feel safer having disinfected an unknown water barrel, etc., prior to filling with drinking water. If I have bought a new one, I still put bleach in it to make sure. i have some empty 5 gal buckets that had 98% liquid sodium hypochlorite bleach use for comercial laundries and i was wondering if they are ok for drinking water storage? Metric makes it even easier. 1 ppm (part per million) is 1 ml in 1,000,000 ml. or 1 ml in 1,000 liters. What about swimming pool clorine? I may have missed it but pool shock tablets are worth mentioning. One tablet can make gallons of bleach and are an easy way to have a lot of purification capability in a small space. Be sure to get the tablets which do not have fungicide or any other functions. I vacuum seal mine then store them in five gallon buckets with oxygen absorbers. Is the water treated with bleach OK to use on your plants? wouldn’t water plants with bleach water..Bleach breaks down to salt, and salt water is not much good for plants. It be same as city water, and tap water is not good for plants. Thanks! this helps a lot with my science fair! 4 litre milk jugs make excellent water storage containers. You can put 4 of them in those handy plastic boxes they deliver the milk in. Plastic milk jugs are readily available, and BPA free. Do you have those in the USA ? Liters in the US for milk? No, I don’t think so. Still on the gallon, etc, scale here. The problem with using milk jugs, in the US, is that they are not intended to last very long. Recycling and all that. Very good and informative article. The comments are also very useful. We are now experiencing a drought in Jamaica and so have to store water for drinking. I don’t like the taste of water after it is boiled and the fuel cost is cause for concern; hence my research on Water purification using bleach. Off topic a bit, but in an emergency, don’t forget the TANK of your toilet and your hot water heater. I have a new, blue water drum but I have filled it yet because I’m concerned about what kind of hose to use. Can I use a regular garden hose? Food grade hoses are available. The one that I have is white. Exactly… Walmart has them too. Look in the RV section. I suppose by now, everyone has read about what is happening in Ohio… Toxins from algae making the water undrinkable. so, am curious, does anyone know, would the following make it drinkable? Distillation will make any water drinkable as it extracts pure H20 from the water (the steam). However they can be very expensive. A Berkey countertop water filter is one of the best gravity filters on the market and is used around the world. It too is expensive (you get what you pay for). A water filter (or boiling water) will not remove chemicals which may be in the water though – so to be safe, one needs to understand what’s upstream or if there is a chemical risk. 500 gals of faucet water. how much bleach? If faucet water is from a municipal supply (your town water), at least here in the U.S. it will already be treated with chlorine and safe to drink. Probably 0.5 or 1.0ppm chlorine. Otherwise, according to this article, Bleach-Water Ratio For Drinking Water, 500 gallons would be treated with 50 teaspoons – which is 1 cup of bleach (48 teaspoons). Is the ratio the same with 8.25% as with 5.25%. I have looked everywhere for 5.25%. Cannot find. All I have found is concentrated 8.25%. For many years, regular bleach contained a concentration of 5.25% – 6%. 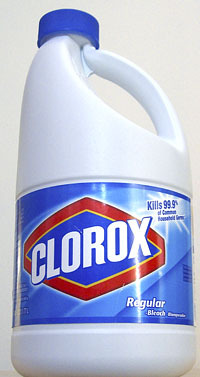 Note that newer liquid bleach may contain a concentration of 8% sodium hypochlorite (about a third more than the original bleach formula), but is still okay (in my opinion) to use the same quantities pertaining to recommendations based on (5.25% – 6%) regular bleach, given the relative margin of safety (up to 4ppm for drinking water). For example, comparing 8-drops added to one gallon of water (5.25% – 6%) bleach versus (8.25% bleach), if the first result is 1ppm chlorine, the 8.25% will probably result in 1.3ppm chlorine (negligible). Note: Use Regular household bleach, which the only active ingredient is ‘sodium hypochlorite’. Note: Bleach will lose its potency over time. Generally, 6 months to a year after its expiration date may result in half strength. I take exception to the blogger’s post that water is “the one thing we need the most, to survive.” He says we can go without water for three days. I’d like to see him hold his breath for three days. working on remembering the ratios..here goes 8 drops unscented chorine bleach to 1 gallon of water, mix let sit 30’mims minimum smell, if a slight smell of chlorine is detected water is sake to drink if not add 8 drops or 1/8 tsp of bleach agin let sit 30 mins , smell if there is no slight chlorine smell disgusted water and find a new source of water. To purify with sunlight, have a clear uncoloured smooth plastic bottle no bigeye then 2 l fill with water place in direct full sunlight for 6 hours for the Iva to disinfect clear water. May use gals in the same side however this difficult to obtain as most galas will block out to much if not all of the Iva Rays..is 80% effective.. If using glas a clear air may be best , have to know the type of glass, most window galas Ito block Iva and urn Rays.to boil water bring to rolling boil, water is now safe How did I do! I accept all the advice on steralization of water,but what about aftertaste.I thought I read somewhere that the addition of a common household product.maybe baking soda, would remove the taste after bleaching? If you store potable water in clean containers, do you have to treat it before drinking? Stored for a year or more?? I live in Jamaica where the tap water is sterlised, however, l still boil and cool the water before drinking to make it safer. Am l really making the water safe? Just moved here and concerned as l do drink a lot of water a day. How much bleach can be added to my 5ton water tank. I can help answer that question by knowing how many gallons of water are in your tank. You indicated 5 tons. 5 tons of water (10,000 pounds) is equivalent to 1200 gallons of water (8.33 pounds per gallon). All pathogens will not be eliminated by boiling the water, but most will. Not trying to scare anyone, but the information about eliminating all pathogens is incorrect! Some bacterial endospores survive at boiling temperatures for longer periods of time and some need even higher than boiling temperatures to be destroyed. Just to name a couple bacteria that cause Anthrax and some foodborne illness need to be boiled longer or at higher temperature. 15 1bs/in2 @121 deg.Celsius for 15-20 minutes. for the last few weeks Chennai (formerly Madras, in South India) has been flooded from heavy rains and poor drainage infrastructure. Our water tanks, sumps, wells, have been contaminated. Having read the notes on bleach, and ‘pool shock’ I am trying to put together some easy solutions to general water use, drinking obviously, but also bathing and other household water use. Most people use 5 gal. buckets for bathing, pouring water from it with a mug. A simple formula for purifying such a bucket would be very helpful. So how does one calculate the ppm (parts per million)? 4 pm is mentioned as a safe threshold, but does the concoction described here come even close? As far as I understand 8 drops of an 8,25 percent hypochlorite solution to a gallon is (8,25/100 * 8)/75708 = 8,7E-6, which is close to 9 ppm?? (Explanation: 75708 is the number of drops in a gallon). With a 5 percent solution this would become 5,3 ppm. In the article it appears that only the WHO takes a 1 percent solution as a starting point?! This, if my calculation is correct, would give a safe level of 1 pp. It seems one must be very careful with regard to concentration. A second question is how dangerous it would be to use bleach that is not pure. I understand that this is not desirable, but consider the possibility that one finds oneself in an emergency and has only access to contaminated water and thick bleach. AFAIK thick bleach contains polymers. Would these pose a health risk if used instead of regular bleach? I am a new resident to the Sonoran Desert of Mexico. I have an 11,000 liter water tank housed in a cinder block encasement. The water comes from the tank into the house through a triple filtration system for drinking. Do I need to add bleach to the tank water for additional cleanliness? Not concerned about the potability as much as keeping the tank clean. Please advise. This might just save my life. Thank you! By far the easiest to follow article I’ve found on this. @Breeze, thanks… I’ve posted quite a number of articles on this subject throughout the blog, however I am especially happy with this one… glad it helped you. Hi, I am collecting rain water for my gardens. I have two 275 gallon totes and two 55 gallon barrels. The only thing I want is to control the algae. These will be fine for the garden as they are not being collected from a asphalt roof but algae growth has been an issue. Suggestions on amounts of bleach to use to destroy the algae? Yes I would belive so. It may need several cleansing but it should work. My Microbiology Textbook states that some spores can survive 30 minutes of boiling; thus such boiling does not produce genuine sterility. That is not to say that 30 minutes of boiling would not produce water which is unlikely to harm you from biological organisms.